Tamara Jenkins’ lovely and compassionate new drama “Private Life” (premiering Oct. 5 in limited release and on Netflix) has a pretty specific focus: two fortysomething New York writers whose path to parenthood is … complicated. 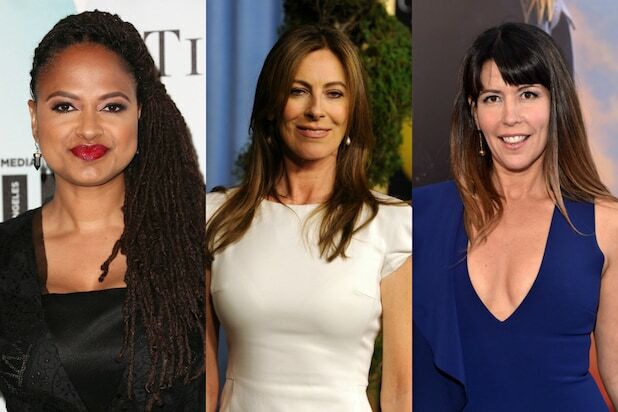 It was based on the director’s experience, and she has clearly put her heart, soul, and history into every scene. Like all gifted artists, though, Jenkins — following up 1998’s beloved “Slums of Beverly Hills” and 2007’s Oscar-nominated “The Savages” — elevates the universal within the personal. It is true that anyone familiar with the complexities of IVF, adoption, donor eggs, or surrogacy will be awed by Jenkins’ pinpoint powers of observation. Her depiction of this complex path is unimpeachably accurate, in a way rarely seen onscreen. But you’re also likely to feel persistent jolts of recognition if you have endured assembly-line condescension at any doctor’s office, family judgments over any of your life choices, or deep pain beneath the surface of any relationship. 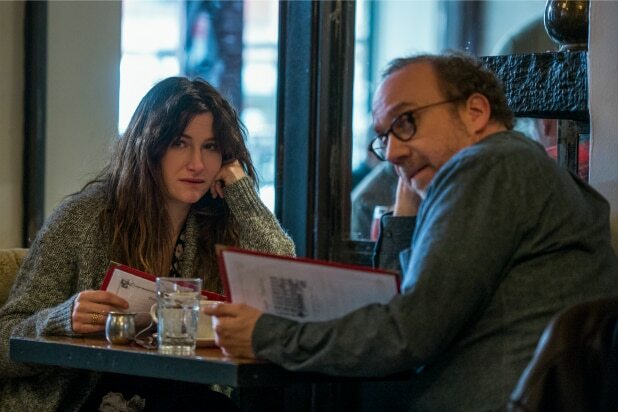 Jenkins couldn’t have asked for a better pairing than Kathryn Hahn and Paul Giamatti, who lose themselves thoroughly in the intimacy of this story. In a lot of ways, Rachel and Richard seem like throwbacks to movie characters long-past: she’s a successful playwright and novelist, and he’s an admired theatrical director. One glance at their book-strewn, rent-controlled apartment in the East Village suggests they’re living the cultural dream. But times have changed, and their focus on work has left them both scrambling to find every means possible to become parents in middle age. They’ve spent all their money, exhausted their considerable compatibility, and pushed their psyches (and Rachel’s body) to the limit. So far, nothing has worked. In the film’s only forced choice, their emotionally fragile step-niece Sadie (newcomer Kayli Carter) drops out of grad school to arrive miraculously on their doorstep. Could she, and her presumably perfect eggs, be the answer to Rachel and Richard’s problems? The answer isn’t so simple, of course, particularly when Sadie’s parents, Cynthia (Molly Shannon) and Charlie (John Carroll Lynch), find out about their tentative plan. Fertility remains tricky thematic terrain, and in its unusual honesty, the movie opens itself up to the same dismissals Rachel faces daily. As both writer and director, Jenkins pushes us to rise above judgment by steadfastly refusing to indulge in it herself. Deep empathy suffuses the screen, enveloping every one of the characters. Another script would have turned Rachel and Richard into entitled narcissists; another filmmaker would have neglected to address the underpinnings of Cynthia’s brittle cynicism. A movie as singular as this one has to be a collaboration, and it’s fair to say the leads have rarely been better. The hardest personality trait for actors to embody is “ordinary”: it requires them to strip completely bare, relying on nothing but truth. Giamatti meets this challenge so deftly that Richard becomes, improbably, a unique everyman. We might hate him one minute, but we’ll relate to him in the next, just like Rachel does. And Hahn is equally wonderful, as comfortable in silence as she is shifting between rapid and extreme emotions. She hides years of hurt beneath Rachel’s smile, each wince and flash of anger suggesting countless more that have gone unexpressed. This detailed intimacy is reflected on every level, particularly in the meticulous set design and very deliberate use of New York as the story’s backdrop. Every small moment is memorable, designed to ping someone who’s been there before. I can’t think of a single movie, for example, that better represents the humiliating infantilization that so often underscores medical procedures. But just as Jenkins aptly renders the tense silence in a serenely decorated waiting room, she also captures the suffocating closeness of an overcrowded apartment, or the full-body relief of finding another person with whom you can be yourself. Because “Private Life” isn’t really a movie about infertility. It’s about love, and pain, and marriage, and friendship, and family. And it’s also about enduring, about picking yourself up over and over and over, in the eternal hope that something beautiful is waiting around the corner. If it happens that you can relate in any way to Jenkins’ broken characters, know this: she’s made something beautiful, and it’s just for you.